Dies R Us: Merry Christmas Time is Here! Happy Thursday everyone! Robin here with my latest design for Dies R Us! You still have time to order your dies AND make your holiday cards! Dies R Us has so many holiday dies to choose from it's hard to decide which one to get...so pick up a few! Dies R Us has great prices and shipping is FREE with a $35 purchase or more! 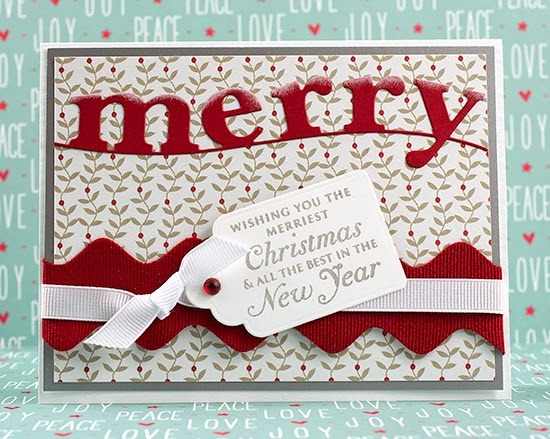 This simple and quick card uses the Poppystamps Magnificent Merry die along with Tailored Expressions Tag Stacklets 1. Create an A2 top fold card base from white card stock. Then cut two layers one from a matte silver and one from a designer paper; adhere both layers together. Cut your "merry" from red card stock, lightly sponge the top with white ink and adhere to your sandwiched layers. I used GIANT red rick rack and white grosgrain ribbon wrapped around the bottom of the layer. 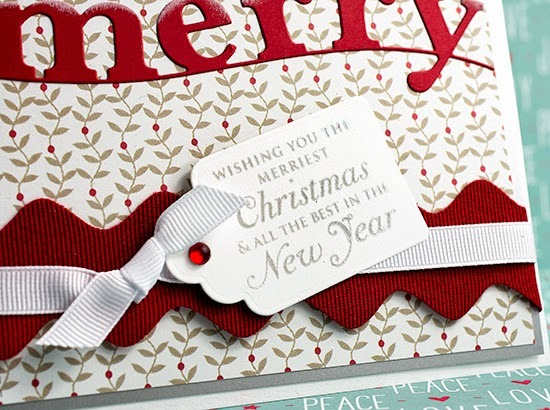 Attach the layer to your card base with foam pop-ups, stamp your sentiment and then cut out with your tag die. Add the tag to your card with a glue dot and finish with a red gem. Don't forget to check out our Challenge Blog for a chance to win a gift card! Take a look at the Dies R Us Blog for some great inspiration from our amazing design team members. I love the contemporary, fresh look of this Xmas card!